Yahoo! Dome, Fukuoka Tower, Fukuoka City Museum and many other city symbols concentrate in this town area on the west side of Fukuoka. A convenient stone's throw from Tenjin（15 min by bus）, Seaside Momochi is a popular resort. The heart of Fukuoka city where department stores, fashion buildings, major banks, and office buildings are located next to one another on both sides of Watanabe-dori Main Street. Daimyo, Imaizumi and Kego area, which are within walking distance from Tenjin, are filled with individual shops, fancy cafes and hidaway restaurants. Why not stroll through the area while checking out your favorite shops. 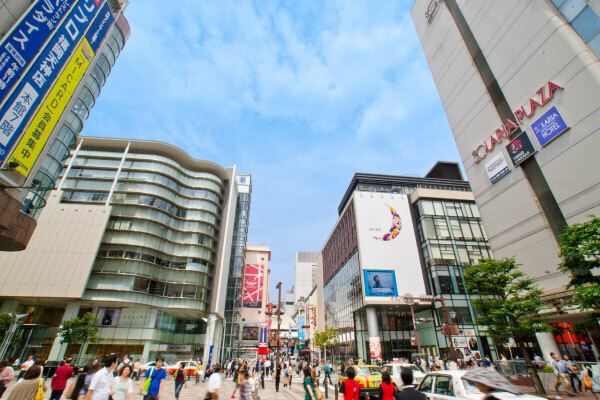 The area provides convenient access to the destinations, with Tenjin subway station, Nishitetsu Fukuoka train station and expressway bus terminal, as well as the 100yen loop bus, which connects with JR Hakata station. 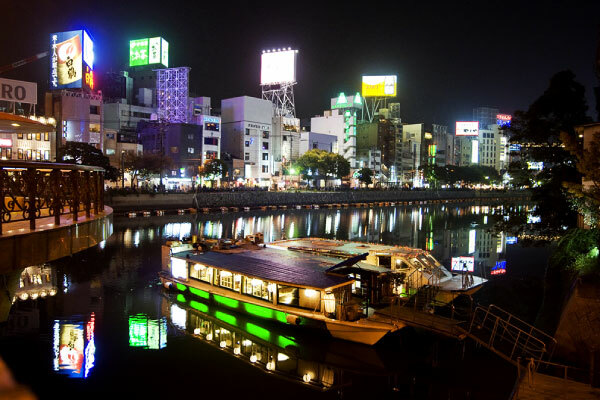 A nightlife district filled with neon lights, well-established hideaway shops and bars, and river stalls selling Hakata delicacies, Nakasu is widely known as a gourmet destination. The latest attractions of the area are the bars and restaurants at Nishi-Nakasu where ladies can get together and enjoy dining or drinking out. Meanwhile, the classical shopping arcade in Kawabata area conveys its past history as a vibrant trading center. It is conveniently reached by 100yen loop bus connecting it with JR Hakata Station and Tenjin or by subway. Ohori Park was built making use of the outer moat of Fukuoka Castle. In Maizuru Park, flowers of the seasons bloom in full. 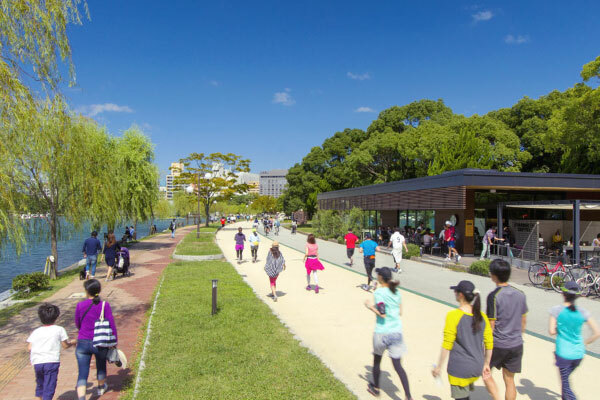 The area where these two parks sit side by side is an oasis of Fukuoka water and greenery. You can enjoy Fukuoka’s nature, history, and art in every season at sites including the Korokan Ruins Exhibition Hall, where a guesthouse was built to accommodate envoys from overseas over 1,300 years ago, the Fukuoka Castle Ruins（an important cultural property）, and the Fukuoka Art Museum. JR Hakata Station is the main railway terminal for shinkansen（bullet train）and local trains. 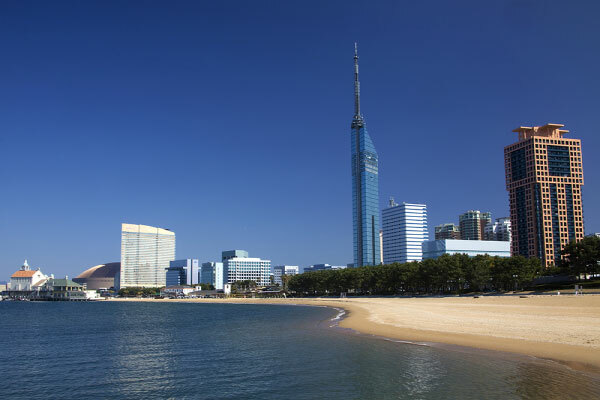 Directly connected with the city subway and bus terminal, this important access point is surrounded with many hotels, making it convenient for business and sightseeing. 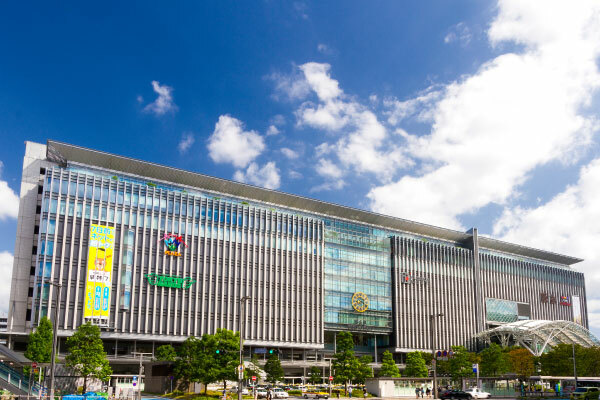 Hakata Station is also well-equipped with a tourist information counter, restaurants and a popular shopping arcade selling various Fukuoka souvenir goods. In 2011, the station will reopen as the largest train station building in Kyushu!